Nice work – thanks for sharing! I’m doing something similar as well. 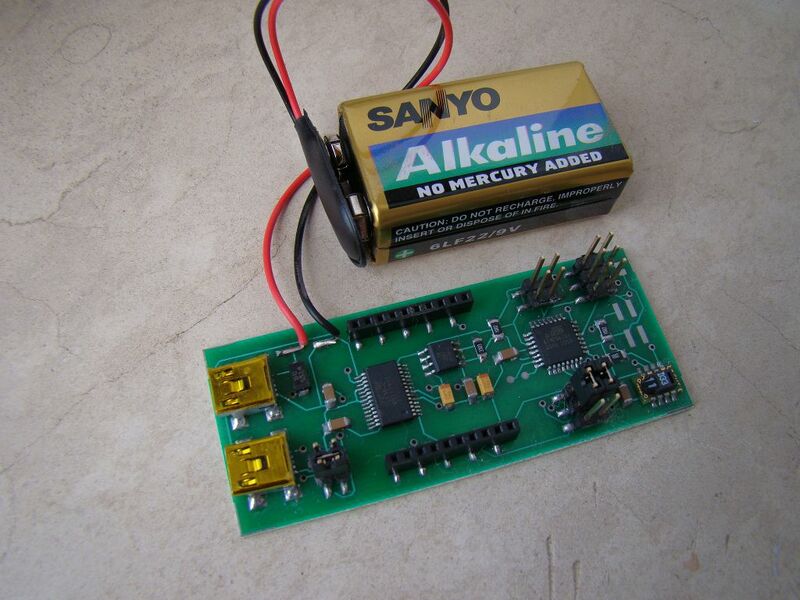 You might light to checkout the ‘mood’ on the electronic forums about those 9V batteries. Apparently you would be better opting for a few AAAs or at least that’s what I understood. how about placing a ICM7555 between the power supply and the module to actually switch the whole thing on and off. Let’s say I want a reading every half an hour – so switch the circuit on every half an hour for 5 minutes (say) so I get the reading then switch it back off. I actually considered this same idea and abandoned it because I didn’t do enough research, as I see now from your suggestion. I reviewed the idle power consumption of the standard 555 timer and it was pretty high. Now I see that ICM7555 makes a huge difference in power consumption and would have fit greatly here… Furthermore, the power regulator LP2986 has a Shutdown pin, and at the same time ICM7555 can operate between 2V and 18V, so it could have been made to cut off the whole power supply even at the Shutdown pin of the power regulator, which would have made the sleep power consumption even less. Is it possible to buy you some PCB ? I already have an XBEE and a sensirion but it is a bit difficult to connet them together. I can’t solder any PCBs for you, sorry. I’ve provided the Eagle PCB file — you can order a PCB from a local factory. You could ask them if they can populate the boards with the elements for you too, but usually they don’t do it for single PCBs. Do you use Xbee api mode ? The receiver is in API mode and the emitter in AT mode, right ? Had you seen this : http://jdesbonnet.blogspot.be/2012/01/interfacing-sensirion-temperature.html it’s a more simple hardware but the software seem a bit complicated. Correct, receiver is in API mode, so that it knows which transmitter ID sent the data. Transmitters are in transparent mode (this is the default for Xbee) because it’s very easy to implement and because I didn’t need greater functionality. 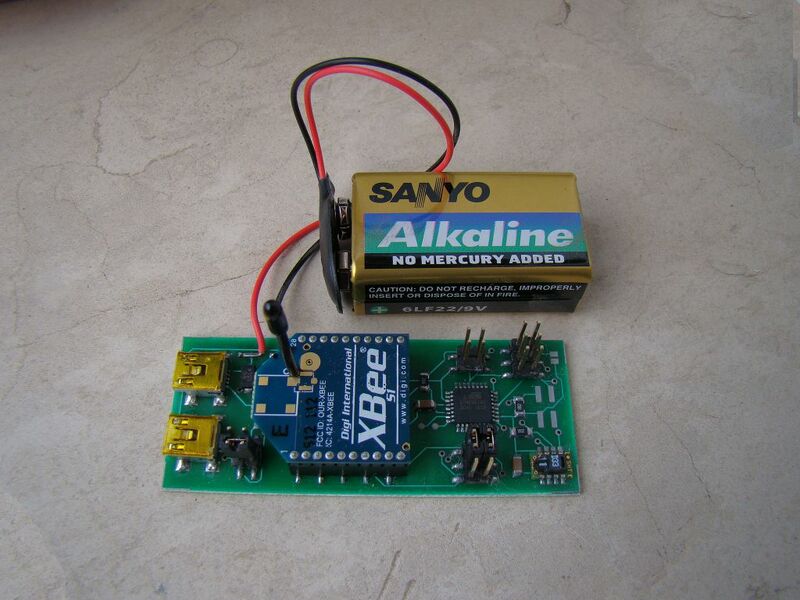 nice work… i was looking for a similar project… is it possible to add Barometric pressure and Light sensor to the board ? Thanks. What exactly are you interested in regarding the XBee network? 1. How can i read data through USB. Do i need some software like hterminal. If yes . What configuration do i need to set. 2. Do i need to change some settings in Xbee too or i can use it simple as it comes from manufacturer.